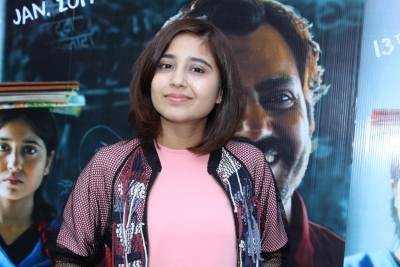 Mumbai, Feb 14 (IANS) Actress Shweta Tripathi Sharma, who tied the knot with actor-rapper Chaitnya Sharma in 2018, is celebrating her first Valentine's Day after marriage. She says it's been five years of craziness for the couple. Reminiscing on how her husband asked her out, Shweta said in a statement: "I insisted that I be asked out on a roller coaster. And he actually took me on one and waited till we got down the ride. Obviously, it was a yes." "And it's been five years of craziness since then. He gets me. And that's the best part about our relationship. I'm more 'me' with him than I am even with myself," added the actress, who is set to make her Tamil film debut with "Mehandi Circus". On Valentine's Day, which falls on February 14 every year, the couple plans to work after which they would be eating out at their favourite restaurant here and cozy up at home and binge watch a new show together, said a source.